Coming from Albany, New York, Karen Bilowith is new to Idaho, but she’s a proven foundation leader. That’s what Idaho Community Foundation (ICF) needs to make an increasing statewide impact – and that matters to those in Sandpoint for a very practical reason. In only the last five years ICF has provided nearly $975,000 in grants and scholarships to Bonner County recipients, mostly local nonprofit organizations. The foundation manages the charitable funds donated by 29 Bonner County residents who have largely earmarked their contributions to benefit local groups and individuals. Some of those funds are the Bonner County Fund for Arts Enhancement, the Bonner County Human Rights Task Force Fund, the Junior Garnier and Bud Ashford Military Veterans Fund and the North Idaho Action Fund. That Sandpoint has forged a significant connection with the Boise-based ICF comes in a good measure through the efforts of Sandpoint’s Bill Berg. Berg, a principal at the law firm Berg & McLaughlin here, is chairman of the board of ICF and has served on the foundation board since May of 2010. When the ICF’s president and CEO, Bob Hoover, decided to retire last year, Berg appointed the selection committee to lead the nationwide search for candidates to replace him. The winner in that search was Bilowith, who was hired as the ICF’s new president and CEO, the position she started Feb. 1. Bilowith, who served previously as president and CEO for an Eastern community foundation, was excited to come to Idaho to lead ICF from its headquarters in Boise. “I spent time in Colorado in grad school, and my husband is from there. I love the West,” she said. Like many Idahoans, the outdoors is a big part of Bilowith’s life – she’s a mountain and road biking enthusiast who also loves to ski. Sandpoint reminds her of her home state of Vermont. Only 10 weeks into the job, she had already visited North Idaho twice. The ICF was started in 1988, through the concerted effort of an 11-person steering committee led by John Fery and Whitman Jones of the Treasure Valley. This group of philanthropists who founded ICF envisioned it from the outset as a statewide organization serving charitable needs across the state. That has not been easy to achieve. As Berg points out, at some 400 miles in length, Idaho is “geographically dysfunctional,” with many distinct regional cultures. He’s understood this from the beginning of his involvement with ICF, which first began after he and his wife Mindy Cameron cofounded Sandpoint’s Panhandle Alliance for Education in 2002. They made an early decision to place their endowment for their new nonprofit in ICF because it was Idaho-centric. The early going with ICF for PAFE was not particularly encouraging, Berg said. “We didn’t even receive a thanks. When Bob Hoover came on (as president and CEO), the first thing he did was show up to meet me, and I chewed him out about how to run a foundation.” As the ICF’s new leader at the time, Hoover worked to build better statewide representation with regions more fully represented by locals. Hoover also recruited Berg to serve on the board. New CEO Bilowith understands the importance of what her predecessor did to grow the statewide footprint of ICF, which now has regional officers in Coeur d’Alene, Idaho Falls and Twin Falls. Bilowith says she sees a platform upon which she can build to increase new partnerships with donors, municipalities and organizations. “Across the state, people are committed to the communities where they live,” she said. The other part of the ICF role is to connect to the groups that will effectively employ the charitable giving. “It’s always important to serve our individual donors, but we have matured to partner with other foundations to take on important issues that transcend regions, such as education,” says Berg. That one is key for Berg personally; given Idaho’s low level of funding for education relative to other states, he believes the charitable funding that ICF consolidates can help fill the gap. He’s not alone with that priority. Bilowith said a majority of ICF funding goes to education because it is what donors want. PAFE is one of numerous nonprofits in Sandpoint that have funds with ICF to help support operations. In its first decade, PAFE built a $2.3 million endowment that has helped the group contribute nearly $1 million worth of grants to teachers and schools in the Lake Pend Oreille School District. 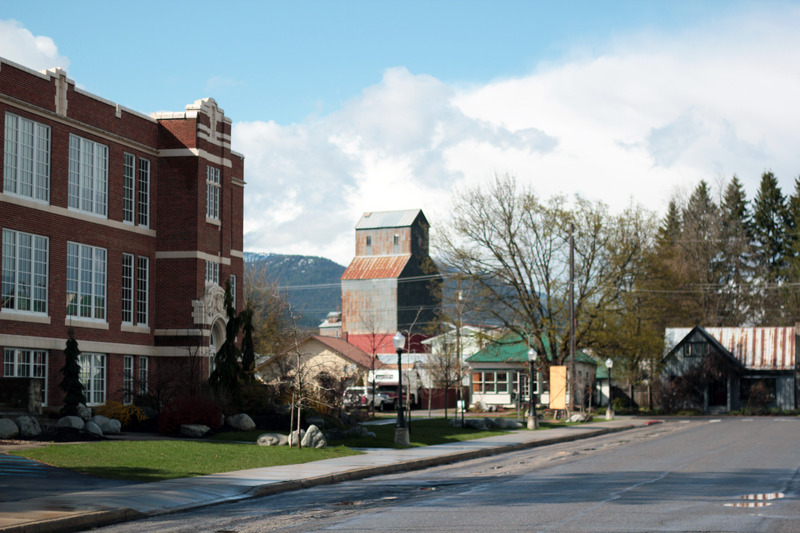 Other Sandpoint nonprofits with their own ICF funds include the Bonner Community Food Bank, Bonner County Historical Society, Bonner General Health, Community Assistance League of Sandpoint, Panhandle Animal Shelter, Kinderhaven and Angels Over Sandpoint. Locally, opportunities exist for grants through ICF to support the arts, human rights, veterans organizations and access to behavioral health programs in Bonner County – all thanks to the generosity of Bonner County donors who have established ICF funds. For information on grants that serve this region, go to: www.idcomfdn.org/DA_Grants.